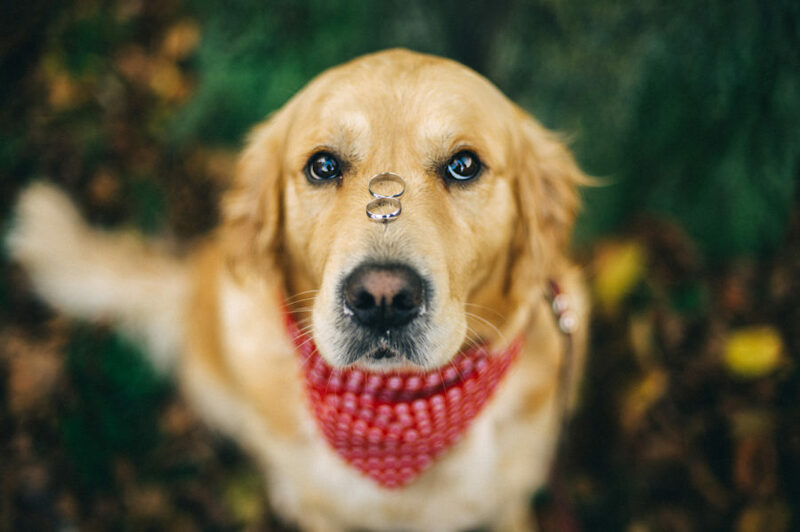 Much like little flower girls and ring bearers walking down the aisle looking equal parts adorable and bewildered, enlisting your pet to carry the wedding rings is a crowd-pleaser. Dogs make the best ring bearers because they’re more likely to listen and can be trained to walk on cue unlike cats, most of whom are very independent and can’t be counted on to do what you want when you want it. 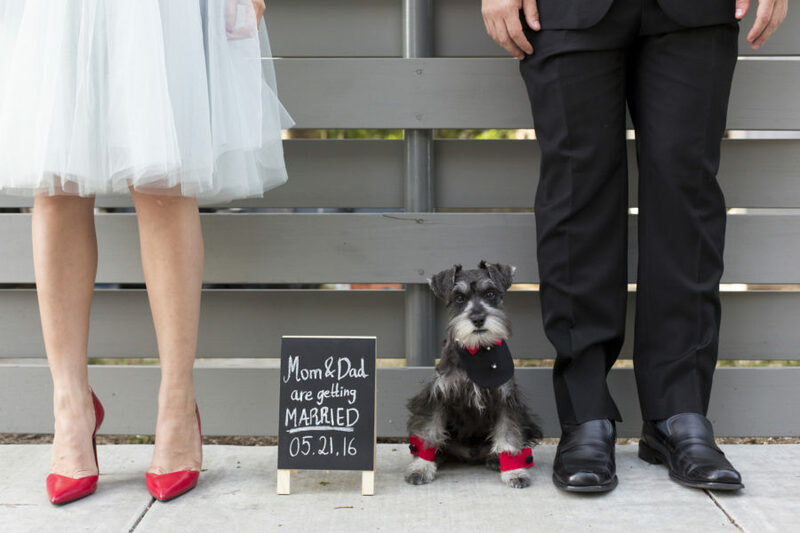 Here, a few important considerations if you’d like your dog to serve as your ring bearer. All dogs aren’t made for the job. If yours is terrified of crowds, gets jealous when you’re paying attention to others, or has a loud bark that he’s not afraid to use, rethink your plan. He might be happier just posing with you and the groom for a new family portrait instead. He’s going to need all four legs to make his way down the aisle so, unlike a human ring bearer, your dog can’t carry the pillow in his hands (which he doesn’t have anyway!). Fake rings are a must in case the dog gets freaked out and runs for the hills. Another option: Put a wreath around his neck with fake rings attached. Someone (who’s not a guest) should drive the dog home after the ceremony. As much as you and your guests would love playing with your pup between courses and on the dance floor, dogs don’t belong at a formal reception. (A casual outdoor reception? Sure.) After a job well done, he needs to be rewarded with a nap and some doggie treats—at home. If he’s used to quiet walks in the park, get him up to speed on what it’s like to be among a lot of people. If he growls or barks constantly, assume the same thing will happen on your wedding day, which will be upsetting and distracting to you and your guests. Your dog will look dapper in a black top hat, jacket, and bow tie. Make sure he’s comfortable dressing up; if he’s not into it, don’t force him to wear any of it.